With such telling writing the author, Madhur Vijay from Bangalore, India, at the onset seduces the reader into reading a marvelous story. “I am thirty years old and that is nothing”—the first line of her novel. Shalini is the daughter of a successful, dynamic, loving, businessman. Her mother is an eccentric, withdrawn sometimes, gregarious other times, moody, even aggressive toward her daughter, and in the end she commits suicide. When Shalini was a very young girl a man, Bashir Ahmed, rang the doorbell. He was selling clothes made in Kashmir, the mountain state in the north. Subsequently he visited Shalini’s mother many times. It became a platonic friendship. After her mother’s death, sacked from her job, Shalini gets the idea to visit him in far away Kashmir. She persuades her father to let her ago. She gets the train to Kishtwar and finds a small hotel. In Kishtwar she finds out where Ahmed lives and sets off, guided by Riyaz, whom she was introduced to by the owner of the hotel. They climb the mountain, 4000 feet in one day. The area is tense. The villages are caught in the firing line of both the army and the insurgents who are fighting against Hindu India for a Muslim-controlled state. Yet it is all too easy to be seduced by the beauty of the mountainous landscape and the seeming tranquility of day-to-day life and to push to one side the violence that lurks in the wings. 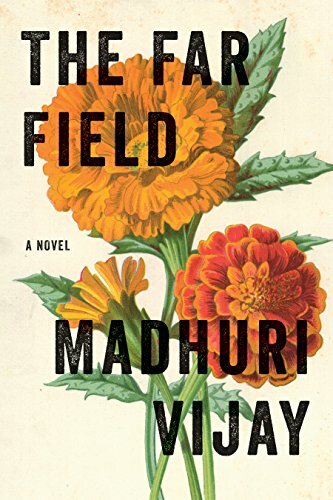 Madhuri Vijay’s talent is her ability to transport the reader deep into the village life of the mountain folk. The story is a very personal one centered on Shalini, her experiences and thoughts, but it is profoundly influenced by the world around her and the ambition of the poor villagers to escape their centuries-long poverty. The not-very-well-run school is the focal point of village endeavor for its inhabitants as they search for a better life for the next generation. If you know some of India you may still not know life in the Himalayas, only a part of the vast sub-continent. This book will rectify that. If you don’t know India the book may be an eye opener into a world that is almost unimaginable by a Western yardstick. Madhuri Vijay wields her pen so carefully that it becomes effortless to imagine the mountains, the villages, the violence of the army and guerrillas, the poverty, the precariousness of life, and the smells of the small houses filled with the perfume of farm animals, smoke from the fireplace and the simple food cooking on the hearth—perhaps goat meat, beans, potatoes, and the profusion of local vegetables. This is Madhuri Vijay’s debut novel. There are many very good Indian novelists who have emerged the last 50 years. Here is another one. If she goes on like this she will enter the first rank along with Arundhati Roy, Anita Desai, Vikram Seth, and half a dozen others. We will see much more of her.